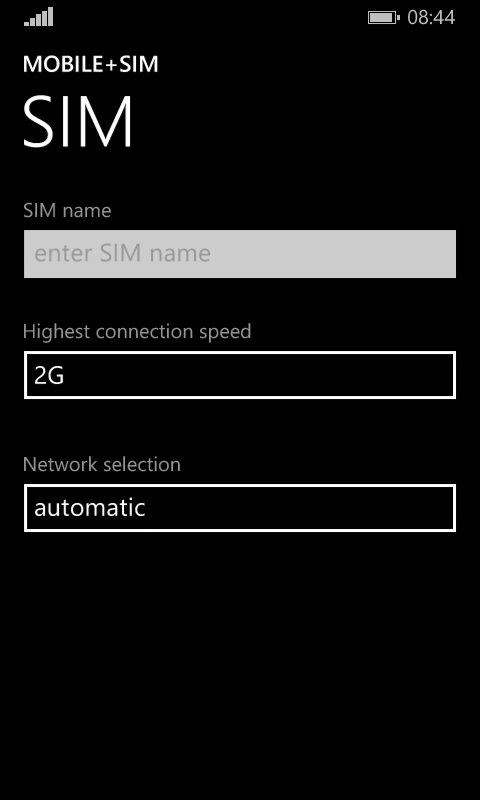 In previous Windows Phone versions the highest connection speed option (2G/3G/4G) was on the same screen as "Data connection on/off" option. Now it isn't any more and I would like to know if it is possible to make direct shortcut from the home screen to this setting? Error: ANDROID_HOME is not set and "android" command not in your PATH. iOS how to implement "Subject Alternative Name" checking for URL AuthenticationMethod via ServerTrust? What are the application areas of hash tables or hashing? How to modify a non-local (global) variable from inside of a block? Is there a way to use dialogs and resources from one installed APK in another during runtime? which is best pm2 vs forever?